Tornado Warning in Montgomery Co.
Sly Stallone is honored with a place in the International Boxing Hall of Fame. Sly Stallone was inducted into the International Boxing Hall of Fame. Sylvester Stallone, the actor and screenwriter who created one of Philly’s most notable heroes, “Rocky,” was honored this weekend when he was inducted into the International Boxing Hall of Fame. 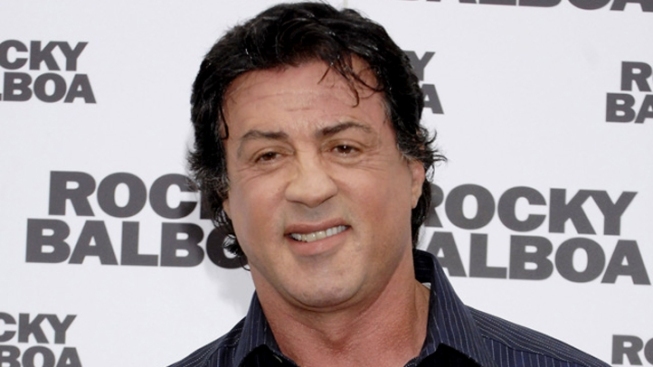 Stallone, 64, was inducted into the 2011 class alongside boxing greats Mike Tyson and Julio Cesar Chavez. The writer/actor and his fellow inductees drew in a crowd between 7,000 and 8,000 -- the largest in history, according to the Philadelphia Daily News. The paper reports that the film's theme song plays at every induction to the International Boxing Hall of Fame, but this year the song had much more meaning. Stallone gave a four-minute acceptance speech where he channeled his inner "Rocky," ending with "Yo, Adrian, I did it," according to the Daily News. The 1976 movie was nominated for 10 Academy Awards and won three.